Funeral will be held 12 Noon Friday, November 16, 2018, what would have been his wedding anniversary, at Ferguson Funeral Home, 202 E. Main St. (Rt. 161W), Plain City where the family will receive friends two hours prior to the service from 10AM – Noon. Pastor Dave Schutter officiating. 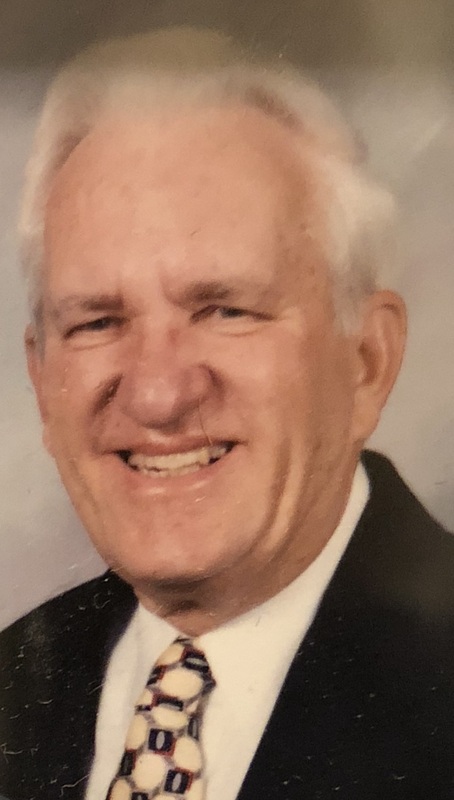 LEE A. FRAAS age 84 of Dublin, OH formerly of Elizabeth, PA passed away peacefully Monday evening November 12, 2018 at Powell Assisted Living with his daughters by his side. Born December 19, 1933 in McKeesport, PA.
Lee was a U.S. Army veteran from 1956-58. He retired after 35 years of service from Harbison Walker Refractories. He enjoyed spending time with his family which brought him his greatest joy. Attended Northwest Presbyterian Church. He was a member of a number of golf and bowling leagues and enjoyed Wii bowling later in life. Lee was a member of the Dublin Senior Center. Preceded in death by his loving wife of 47 years: Shirley (Bentz) Fraas; parents: Isacc Emmanuel and Ella Alfreda (Johnson) Fraas; brother: Emil Fraas; sister: Eleanor Kalkbrenner. Survived by his loving daughters: Janene (Dan) Breading of Carmel, IN, Leah (Chip) Comes of Medina, OH; grandchildren: Lauren (Jake) Weber, Justin (Kristin) Breading, Nate (Sara) Stohrer, Brandon Stohrer; great-grandchildren: Caleb, Katalin;, Luke, Ben, and one on the way; nieces and nephews. Funeral will be held 12 Noon Friday, November 16, 2018, what would have been his wedding anniversary, at Ferguson Funeral Home, 202 E. Main St. (Rt. 161W), Plain City where the family will receive friends two hours prior to the service from 10AM – Noon. Pastor Dave Schutter officiating. Burial 2 PM Friday, November 23, 2018 at Mt. Vernon Cemetery, McKeesport, PA.